Posts – The 60th Battalion C.E.F. 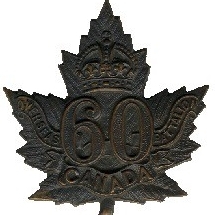 "Victoria Rifles of Canada"
While attempting to update my site I managed to wipe it out completely. I am working t restore and update it completely. I hope to be back up and running soon.